From the author of The Personal History of Rachel Dupree, shortlisted for the Orange Award for New Writers and long listed for the Orange Prize. 1900. Young pianist Catherine Wainwright flees the fashionable town of Dayton, Ohio in the wake of a terrible scandal. Heartbroken and facing destitution, she finds herself striking up correspondence with a childhood admirer, the recently widowed Oscar Williams. In desperation she agrees to marry him, but when Catherine travels to Oscar's farm on Galveston Island, Texas—a thousand miles from home—she finds she is little prepared for the life that awaits her. The island is remote, the weather sweltering, and Oscar's little boy Andre is grieving hard for his lost mother. And though Oscar tries to please his new wife, the secrets of the past sit uncomfortably between them. Meanwhile for Nan Ogden, Oscar’s housekeeper, Catherine’s sudden arrival has come as a great shock. For not only did she promise Oscar’s first wife that she would be the one to take care of little Andre, but she has feelings for Oscar which she is struggling to suppress. And when the worst storm in a generation descends, the women will find themselves tested as never before. WHAT OTHERS ARE SAYING ABOUT "THE PROMISE:"
"A gripping, beautiful story of loyalties and hidden loves. Ann Weisgarber's pitch-perfect characters will break your heart and keep you guessing right to the very end." 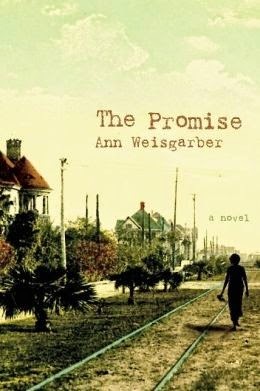 "Ann Weisgarber's The Promise is set against the backdrop of the worst natural disaster of the 20th century in the U.S., but the weather is no match for [this] story of two women's love for the same man. The coastal isolation of Galveston shows Weisgarber's ability to make a place come alive, and the real storm in the book is the demand of family, the hope of love, and the impossibility of reinvention. Fans of A Reliable Wife will find The Promise to be a book they can latch onto." 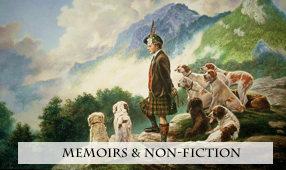 "Set against the worst natural disaster in twentieth century American history, The Promise is a riveting tale, told in lean luminous prose, of the power of love and the frailty of the human condition. Weisgarber knows storms, those that devastate the land and those that rage in the human heart. Her characters will live in your imagination long after you’ve turned the last deeply moving page." "Weisgarber's conjuring of Galveston Island at the turn of the 20th century is miraculous--a sensory feast. Narrated by a pair of compellingly divergent female voices, The Promise is at once an American story of second chances, an achingly felt love triangle, and a psychological tour de force. I am stunned. 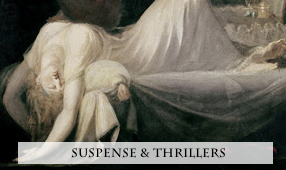 Rarely do novelists so happily marry depth of insight to unflagging suspense." The Promise is a gripping drama, at once personal and macrocosmic, a powerful recreation of the hurricane that devastates Galveston in 1900--and the fragile but hopeful life that a young woman is rebuilding there after fleeing from a scandalous past. I was captivated by Weisgarber's deft use of voices, her careful delineation of character, and her ability to pull the reader into a different time and place. "The Promise is a thrilling and heartbreaking novel. Told in alternating voices, with perfect pitch, it brings the past alive with a vivid sense of place and time. This is a story of the enduring bonds between people, of shame and redemption, of promises kept. No one has ever dramatized a cataclysmic storm better, the fury and aftermath. It is a novel of the struggle, the work, and the power of love." 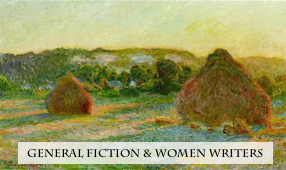 The Promise takes a historical premise, The Galveston Hurricane of 1900, but makes the story of two women and the way they try to live and love in a hard hard world as affecting and evocative as any storm." 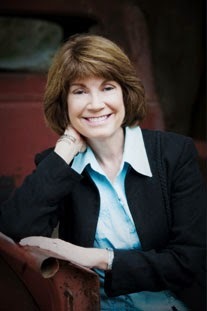 Ann is the author of The Promise and The Personal History of Rachel DuPree. She was nominated for England’s 2009 Orange Prize and for the 2009 Orange Award for New Writers. In the United States, she won the Stephen Turner Award for New Fiction and the Langum Prize for American Historical Fiction. She was shortlisted for the Ohioana Book Award and was a Barnes and Noble Discover New Writer. 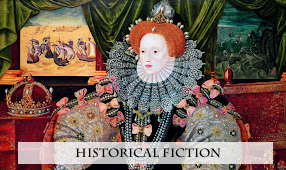 Ann serves on the selection committee for the Langum Prize in American Historical Fiction. The Promise was inspired by a dilapidated house and by an interview Ann conducted when she was writing articles for a Galveston magazine. She wrote much of the novel in Galveston where pelicans glide along the surf and cows graze in pastures. Her debut novel, The Personal History of Rachel DuPree was inspired by a photograph of an unknown woman sitting in front of a sod dugout. It was published in England and France before being published in the United States. 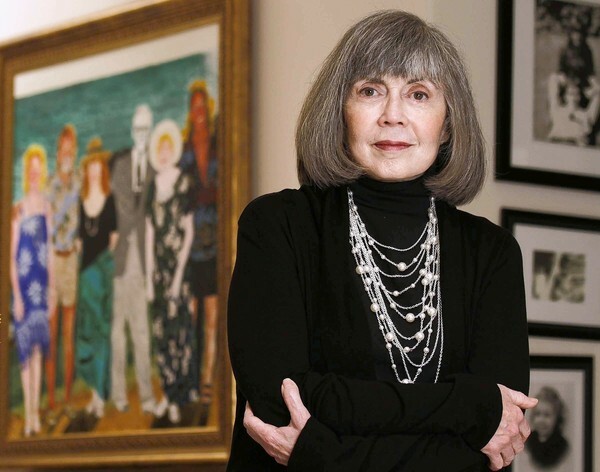 We are so thrilled to bring you this Q&A interview with Ann today. She's an extremely interesting person, but also one you'd love to have as a next door neighbor! Welcome, Ann! My innate shyness kicks in whenever I’m asked to talk about myself but I’ll take a deep breath and give it a try. I grew up in Kettering, Ohio, and came from a family that had stacks of library books in the house. Owning books was a luxury and I saved my allowance to buy them from the drugstore. I make that sound so simple but in reality I’d debate and deliberate for days about which book to buy. Reading, spending time in libraries, and buying books - but now in bookstores rather than drugstores - are still important to me. So is baseball. My husband and I go to Houston Astros games as often as we can, and I’m one of those crazy fans who keeps score. I’m also a fan of national parks and the more remote, the better. While writing my first novel, The Personal History of Rachel DuPree, the U.S. Park Service gave me a four-week writing residency at Badlands National Park in South Dakota. I lived in ranger housing and didn’t have television or Internet services. I didn’t miss either one. I don’t know how people might describe me. I’m afraid to ask them! Briefly, from where did the idea for your novel germinate? After I finished my first novel, I freelanced for a Galveston magazine, The Islander. My articles were about people with unusual jobs and for one assignment, I interviewed a brother and sister who owned a small grocery store on the rural end of the island. They’d moved there with their parents in 1963, and their stories about rural island life fascinated me. The tap water was rusty and not safe to drink, electricity went out frequently, and there were more rattlesnakes than people. If that was life in 1963, what was the rural end of Galveston like during 1900 when a massive hurricane hit the island and killed over 6,000 people? That question drove me to the Galveston library where I found very little information about the people who once lived outside of the city limits. It seemed that Galveston’s dairy farmers, ranchers, and fishermen had been forgotten, and that felt like an injustice. The Promise is my way of remembering those people. Who first told you you could write well and how did that affect you? My freshman composition instructor at Wright State University in Dayton, Ohio, pulled me aside at the end of the quarter and told me she thought I was a good writer. I was shocked; no one had told me that before. Years later when I decided I wanted to write a story about a woman I’d seen in a photograph, the instructor’s words gave me the confidence to try. I can’t begin to measure the impact her words had on my life. She made me think I could write a book. Which contemporary authors do you admire? There are so many but novelists Ellen Feldman, Robert Morgan, Paulette Jiles, and Alexi Zentner are big favorites. For unexplainable reasons, novelist Jennifer Hritz has been overlooked, and I love her books. I keep a collection of poet Billy Collins’ work on my bedside table so I can end each day with a poem. 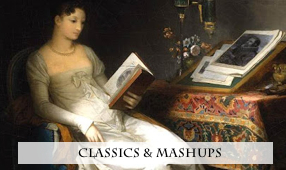 Who are your favorite classical authors? Two of the classics that I love are Charlotte’s Web by E. B. White and The Secret Garden by Frances Hodgson Burnett. I received both as gifts when I was a child, and I’ve read them countless times. They’re on my desk now as I write this and I long to read them again. They’re considered children’s literature but these stories of friendship, sacrifice, and loyalty touch my adult heart. What was your first book as a child? What is your all-time favorite? I don’t remember specifically my first book but I’m willing to bet it was a Little Golden Book. I especially liked the ones about Mickey Mouse, Minnie, and Daisy. My all-time favorite is To Kill a Mockingbird by Harper Lee. I’ve read it many times and I always marvel at the author’s wisdom to confront injustice, racism, and mental illness through the eyes of a child. Read any good books during the last six months? Gary Schanbacher’s Crossing Purgatory is absolutely wonderful. It takes place in eastern Colorado prior to the Civil War, and the voice of the narrator – a man whose family has died – is haunting. A few weeks ago, I read the advanced reading copy of Before the Fall by Juliet West. She’s from the UK and it’ll be a great loss if this outstanding novel about a young East End woman during World War I isn’t published in the States. After I graduated from high school, I didn’t want to go to college. Instead, I took a job as a secretary. It was a disaster. I was the youngest person in the office by twenty years, I made a mess of an important document I had to prepare for my boss, and I got the shakes every time the sales team asked me to handle their expense receipts. I quit after a few months and no one begged me to stay. I found another job as a proofreader and applied for admission at Wright State University in Ohio. I distinctly remember my brother’s birthday party. He was five, I was three, and my mother wouldn’t let me play some of the games. Not only was I too young but I was the only girl. I stood at the back door and watched the boys play tag in the yard. I was not a good sport about being left out. This might sound sappy but it’s my library card. It represents all that’s good about America – free and equal access to knowledge and literature. I’m working on a novel that takes place in Utah’s canyon country during the winter of 1888. The narrator is a 37-year old woman who helps polygamists hide from U.S. marshals. I’m not all that far along and the plot could change so I won’t say more. Ann, I can't believe you have a memory that early in your life. That really must have impacted you. I'm looking forward to your new book. Polygamists really interest me these days... Thank you for stopping by! This is a rare book. The author is outstanding and the story is captivating. 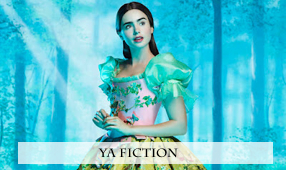 I was swept up in the telling of it and with the very distinct characters that inhabit the pages. Truly one of those "you can't put it down" books of the season. It's luminous and heart-rending. I don't know much about Galveston, Texas, having never been there, but Ms Weisgarber brings it to life vividly. She sharpens our senses to the salty air of the beach, the weathered landscape and the beaten habitations of Oscar's farm. I became anxious as Catherine first crossed the waters in her train and throughout her trip there. And I felt the anxiety and terror throughout the storm the whole family faced...both real and psychological. Matchless writing that garnered many visceral and emotional reactions from me! The characterization is strong here. I truly felt the isolation of Catherine as she faced first her deceptions, and then her personal fears and love. I struggled with Oscar as he tried to understand and find a heart's balance. And I sensed the longing and pain in Nan. The confusion in little Andre. And much more. Ann Weisgarber is a master at rendering the perfect beat needed for each character in their settings. This is a beautiful book full of longing, love, heart-breaking reality and a sense of lost life regained. I loved it. I hope you'll give it a try. It's the perfect book group book...lots of meat here...lots of situations to discuss. Deborah, thank you so much for reading The Promise, for posting the interview questions, and for writing this wonderful review. It's a dream to have such nice things said about the book and your support means more than I can say. The interview questions were fun. I remember very well that birthday party when I was three. Maybe it stayed with me because it was the first time I realized I couldn't keep up with my brother who until then, included me in everything. It was a blow to my pride! Keep up the great work with your blog. You're important to readers and authors. Thank you, Ann. I loved your book and encourage my readers to get it soon!